Fiona Walsh Dinan, MA, is a Depth Hypnosis Practitioner and a licensed Associate Marriage and Family Therapist. 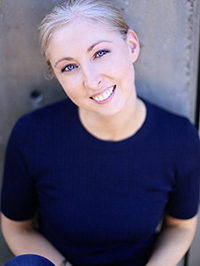 She holds a masters degree in Integral Counseling Psychology from the California Institute of Integral Studies, an M.B.A. from Trinity College in Dublin, Ireland, and an undergraduate degree in Computer Science. Fiona came to counseling after almost twenty years in software and technology consulting. Fiona has been working with individuals, couples, and families as a psychotherapist since 2014. Life is a mysterious winding journey. Fiona believes that sharing and working through the issues that are alive and relevant in our lives can be a healing and transformative experience. Fiona has faith that the answers to our deepest questions are found within and that by opening to the transformative journey of healing, we can uncover them together. Fiona uses a nonjudgemental relational approach, creating a warm, therapeutic, safe and supportive setting, providing the space for her clients to explore the aspects of life that they wish to attend to. Fiona maintains a private psychotherapy and hypnotherapy practice and has office hours in San Francisco, California.